The resort island of Hainan is on the verge of challenging Hong Kong’s dominance as a shopping mecca for tourists. But unfortunately for travelers from the mainland, they will continue to be shut out of the island’s duty-free policy that benefits overseas tourists. On Monday, Guo Zhiming, division director of the publicity department of the Hainan provincial government, is expected to hold a news conference to announce the province’s new tax policy. Guo is slated to reveal that although the State Council has allowed the province to explore allowing duty-free shopping for mainland tourists in Hainan, they will have to wait at least another six months for the shopping privilege. When asked for a reason, Guo responded that the customs office in Haikou, capital of Hainan, is not ready to handle the new policy. Duty-free stores, found mostly in the international zone in airports, do not apply local or national taxes. Those living outside the country are not taxed on purchases at the shops. China’s central government has looked into applying the duty-free policy to all tourists in Hainan as part of its efforts to promote Hainan not only as a tropical paradise but as a shopping destination. "Starting from the beginning of next month, overseas travelers (including those from Taiwan, Hong Kong and Macao) can reclaim the tax they paid for on 21 categories of goods in three designated Sanya and Haikou shopping malls when they leave the province," Guo said. "That’s something new apart from the duty-free shopping they already enjoy. Mainlanders will need to wait until next May, or later." The announcement is likely to send mainlanders shrugging for answers and adds a wrinkle to the southern province’s plan to scrap taxes on goods and services for travelers. Up until now, the reaction to the government’s policy to open Hainan up to more shopping has been mixed. "They just wouldn’t let me buy anything," said Huang Ruixi, a 22-year-old shopper of luxury brands from Suzhou, East China’s Jiangsu province. It was Huang’s last day of her stay in the Hainan city of Sanya earlier this month and she was disappointed in the downtown duty-free store. "I was told that only foreign passport holders or those with Hong Kong or Taiwan travel documents could buy duty-free goods here. They need to show a ticket for a flight departing from Sanya," said Huang. "It is nonsense to just browse – the majority of potential customers here are mainlanders and they are not allowed to buy." With only a few foreign shoppers milling about, the 7,000-square-meter Sanya Downtown Duty Free Store is nothing close to a popular destination. There is a tag placed in every booth of this two-story shopping mall to remind mainlanders of the eligibility requirements for purchasing products. A staff member, surnamed Ke, said the store has been telling shoppers to remain patient. "Chances are they will be eligible to purchase stuff next year. We’ve been waiting for that moment to come as badly as they have," Ke said. 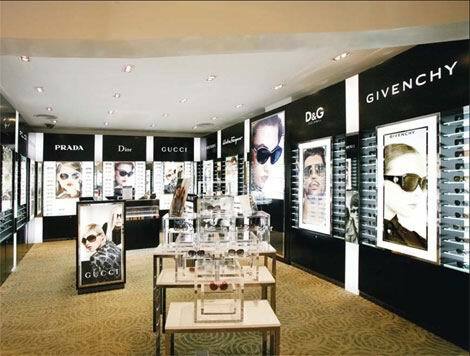 Xu Lina, the marketing and overseas agent sales manager for Sanya Downtown Duty Free Store Co Ltd, said cosmetics and perfumes are the main draws at the store. "But we added men’s outfits and watches in March. Big luxury names including Tiffany and Cartier also arrived this September," Xu said. "In total, we have around 80 to 90 high-end and medium-end international fashion brands available. But new brands are coming in." The store belongs to the only State-owned duty-free group in China, the China Duty Free Group Co Ltd. Japanese hair care and cosmetics producer Shiseido Co Ltd opened a counter at Sanya’s duty-free store this March. A representative from the fourth-largest cosmetics company in the world by sales volume said it had faith in the potential for Hainan’s duty-free zone, even though the new policy might only apply to China’s domestic customers starting from next year. Knowing that a majority of Sanya’s tourists are Chinese who are pinning their hopes on the upcoming duty-free policy, China Duty Free invested in another 250,000-sq-m shopping center in the Haitang Bay, 30 kilometers to the east of Sanya. "The concept is different over there," said Xu. "With a venue of 250,000 sq m, it’s going to be an integrated project with not only duty-free shops, but also restaurants and other entertainment facilities. "Our product prices are on average 15 to 35 percent lower than those in the city’s major shops, depending upon in which categories they fall. They’re almost equal to a similar store in Hong Kong." The downtown store looks no different from many overseas shops and sells a range of imported goods such as leather bags, accessories and watches. Farrel Yi, from Taiwan, spent more than two years working in Sanya. Although she is eligible for the duty-free policy, she found the shopping experience inconvenient. "I cannot pick up what I paid for in the shop," Yi said. "I can only receive them at the boarding gate of the airport." An executive from China Duty Free’s marketing team, who refused to give his name, said Yi’s complaint revealed that Chinese shoppers are naive when it comes to duty-free purchases. "Duty-free is a very special industry," he said. "Europeans and Americans are familiar with picking goods up at the airport. However, the Chinese are so used to ‘cash and carry’ that we have to explain to them over and over. They worry not only about fraud but also about their goods breaking on the way to the airport. It’s an international convention. The concept is rather new, especially for Chinese. It’s nothing they would experience in their daily lives unless they go abroad." Duty-free commodities are exempted from import duty, import linkage excise tax and import linkage value-added tax. They are not only available at airports, but also on flights, at borders, on ocean-bound ships, at ferry terminals, at railway stations and in downtown duty-free shops. China Duty Free was established in 1984 as the only State-owned enterprise specializing in duty-free business and now has more than 200 outlets in 29 provinces, municipalities and autonomous regions in China. According to the Hainan department of commerce, all duty-free outlets in the province have to be run by China Duty Free. "We’d like to attract both domestic and foreign investors if possible so that the service and competitive power of the industry are guaranteed," said a department spokesperson. Hainan’s tourist market is expected to grow dramatically. Hainan is expected by Chinese officials to become a global tropical island resort destination by 2020, and the tourism industry in the province is expected to contribute 12 percent to gross domestic product by that time. The major local airline, Hainan Airlines, increased the number of its domestic flights to Sanya by 25 percent from this summer to winter. "Now we have around 84 flights heading to Sanya from all around China every week," said Tan Hui, spokesman for Hainan Airlines. "New routes from Urumqi, Lanzhou, Changsha and Wuhan (to Sanya) are expected in the future. Some of them will have an in-flight duty-free service."